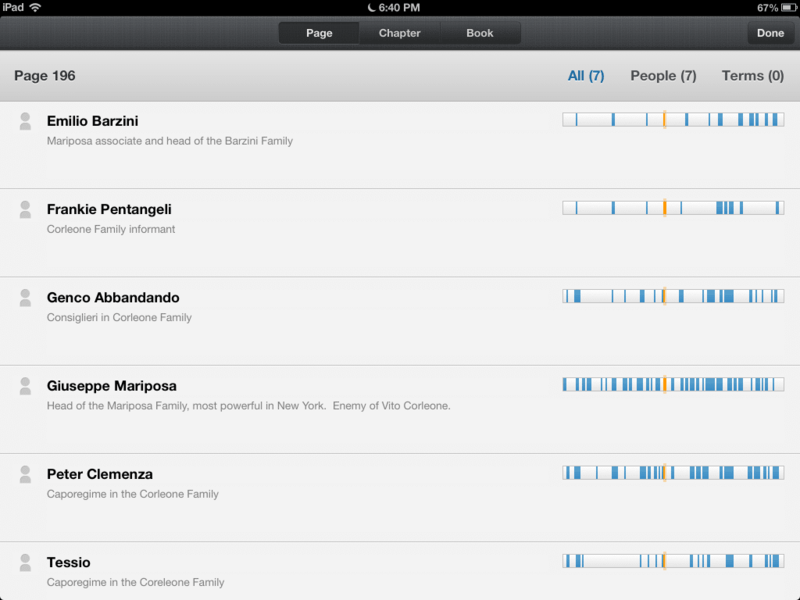 The Amazon Kindle App for the Apple iPad got a huge update today! X-Ray is now available for most iOS users and gives them a taste on what dedicated Kindle users have been enjoying for quite sometime. X-Ray was first unveiled with the advent of the Amazon Kindle Touch and is a major feature found in their HD line of tablets. X-Ray basically gives a layout of all of the major characters, places and objects found in an eBook. It breaks down how much a particular person is mentioned throughout the story and who was referencing them. If you click on a persons name you can get quotes on a chapter by chapter basis to see what they said. This feature is super handy if you are juggling many books at once and forget who the main characters are and what the premise is. The update was made available today and not all books have the X-Ray feature. It seems the most books published in the last few years have it, but older books tend to fall under the radar.